"Despite the rise of nationalism, isolationist rhetoric and reshoring, globalisation will not stall," reads the Business of Fashion's 10 Trends That Will Define the Agenda in 2018. "A new phase of globalisation characterised by the exponential growth of cross-border bandwidth, connectivity and digital data flows will alter the global playing field and give certain players a competitive edge." We've never been so global despite the fact we're celebrating what's local and hugging it so tight. Small startup brands now have the world at their feet thanks to social media. You can be a major influencer from any corner of the globe—no longer does this once-exclusive business revolve around Paris, New York, Milan and London alone. There are lucrative revenue streams to be found in emerging markets, and business big and small are expanding to swoop in and make the most of boom times elsewhere. It would be all too easy to see globalisation translate into homogenisation, but style nuances, shopping habits, desires, the economy and even the plain old boring weather still all play a part in shaping a region's fashion outlook—and for that, we are grateful. Sure, cult items can become worldwide success stories—take that Gucci logo tee, for example—but how it's worn in Milan is wildly different from how it's adopted in Seoul. So with travel on our minds because of the summer holidays and so much available to us at the double-tap of an Instagram post, we're shifting the lens for May to outside of the UK. Who are the unexpected leading fashion figures in the blogging world? What happens when a Brit girl moves to France? Where is the most exciting new overseas fashion week? Is there an unexpected place where more fresh brands are popping up than anywhere else? Which designer items are trending in different locations? These are all questions we'll answer this month with the help of our international fashion gang. As a little teaser, I thought I'd share a few of my not-so-top-secret international style tip-offs below. Gang of Earlybirds is the Marais-based store we've fallen head over heels in love with. Founder Fanny Arnault is one of the coolest girls you'll find the City of Light, and she's set on bringing in niche international brands like Maryam Nassir Zadeh from New York or Rixo from London. If there's one fashion week that everyone in the industry keeps telling me to go to, it's Seoul. The Korean street style scene alone is enough to lure me into that 11-hour long-haul flight, but more and more unique brands are popping up all the time—with a real focus on shoe labels being brought over to the UK like Reike Nen and Yuul Yie. There's a lot we love about Spanish fashion, but it's the shoes that keep us coming back every time. My mother always told me Spain had some of the best shoemakers in the world, and whilst the production quantity is perhaps smaller than it once was, the level still stands up today. My top choice is Zara-owned brand Uterqüe—beautifully crafted leather pieces that don't cost the earth. Although the Who What Wear UK office is based in London, none of the team hails from the country's capital. 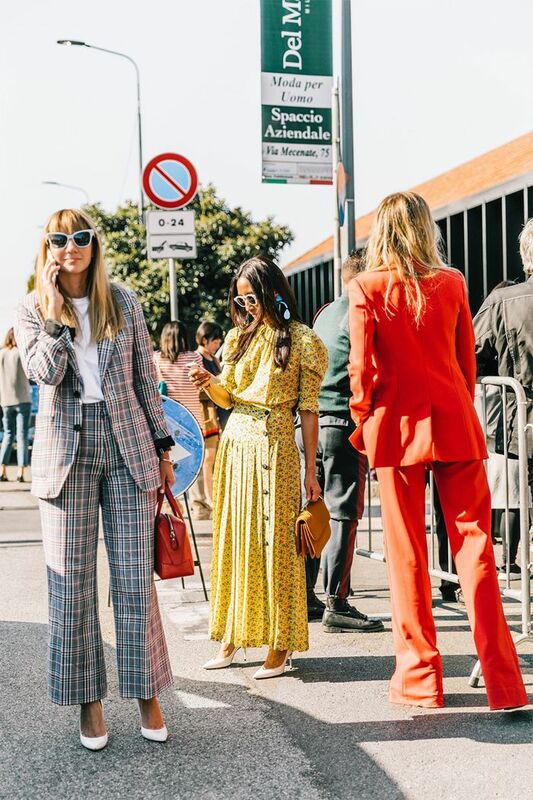 There are cool girls up and down the country who interact with us, and we're always excited to discover new fashion talent. Take Eunice: She's Birmingham-based and well worth checking out @fashioneth. Is it just us, or is everyone in Sri Lanka right now? So far, in 2018, this seems to be the hot destination, and with the tropical beaches, lush backdrops, remote locations and not-too-crazy flight times, we're not entirely surprised. Check out Florrie Thomas's holiday snaps on Instagram and you'll want to hit Skyscanner immediately (and buy her Asceno bikini). Awesome news cometh: The team at BrownsFashion.com has informed us this week that the super-cool Miaou (which has been trending all over our U.S. friends' feeds) is finally coming to the UK next season. This label is all about body positivity combined with cute, wearable '90s-inspired items you're going to want to fall back on each summer. Emily Ratajkowski and a host of models and bloggers are fully paid-up members of this club. Stay with us all month to expand your horizons, and don't forget our team is on board for all your shopping needs via our new Facebook group So… Should I Buy This?